The CA10 is a programmable and customizable interface device that seamlessly incorporates third party current transducers/transformers with Teledyne LeCroy oscilloscopes or motor drive analyzers. The easy to use interface provides the ability for the CA10 to be programmed to contain the specifications of the current sensor allowing it to automatically correct for the gain or attenuation and display results in Ampere units. This allows the third party device to be recognized and operate as if it were a Teledyne LeCroy probe. The CA10 is a programmable and customizable interface device that seamlessly incorporates third party current transducers/transformers with Teledyne LeCroy oscilloscopes or motor drive analyzers. 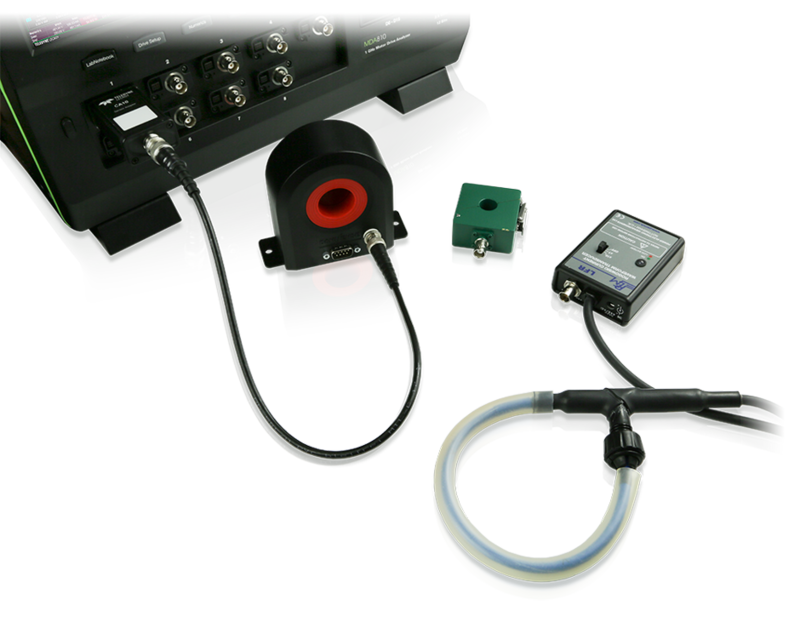 It allows the third party device to be recognized and operate as if it were a Teledyne LeCroy probe. Examples of devices that can be used with the CA10 include Pearson Current Transformers, Danisense/LEM Current Transducers, PEM-UK Rogowksi Coils, or any conventional turns-ratio current transformers. Once the CA10 is programmed, the third party transducer/transformer will be recognized and operate like a Teledyne LeCroy probe. The CA10 provides the ability to easily install physical hardware components such as shunt resistors and bandwidth filter components based on the requirements of the device being used. The CA10 also has programmable bandwidth limit filters of full BW, 200 MHz, or 20 MHz. The programmable interface is intuitive and easy to use. Once the CA10 is configured, it will recognize the third party device with the correct scaling factors on any compatible Teledyne LeCroy oscilloscope or motor drive analyzer. This saves time and possible errors involved in manually entering scaling factors each time the device is connected.